Vocabulary Challenge. A fun way to support research and UNICEF! 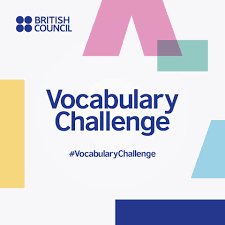 British Council Vocabulary Challenge is still open and a really worthwhile activity to encourage students, family members and friends to do as we get ready for the holidays. The research project aims to find out which of 7,000 of the most common English words Spanish, German or Chinese learners of the English language know. For every word attempted the British Council will make a donation to UNICEF. ¿Te has preguntado alguna vez cuántas palabras conoces en inglés? ¿Si eres un estudiante, estás aprendiendo inglés tambien en tu tiempo libre o usas el inglés como parte de tu diversión y aprendizaje? Si es así, ¡puedes intentar el Vocabulary Challenge del British Council para probar tu conocimiento de palabras en inglés! Realiza el Vocabulary Challenge y ser parte de este proyecto internacional. ¡Prueba el VOCABULARY CHALLENGE ahora!